Betty Gerboc, 87 of Kittanning, PA, passed away on Friday, April 5, 2019, at Allegheny General Hospital. Betty was born on June 29, 1931 in Burrell Township, Armstrong County, to Earl and Lottie (Crownover) Riggle. She was a graduate of Ford City High School and a member of St. Mary's Our Lady of Guadalupe Church in Kittanning. In her younger years she enjoyed many sports, volleyball, basketball, bowling and hunting. As she got a little older, she participated in the Armstrong County Senior Games where she has won many of events. She could often be found in her kitchen cooking, baking, and canning from her own garden. Betty will be best remembered for taking loving care of her family and friends. Her memory will be cherished by her sons, Eric Gerboc of Kittanning, Carl Gerboc and his wife Beth of Ford City; grandchildren, Kalli Ann Gerboc, Jaysa Gerboc, Evann Gerboc, Nicholas Gerboc and her newest grandson, Braxton Newcomb; brother, Richard Riggle and wife Helen of Ford City; and sister, Darletta Beers, of Kittanning. She was preceded in death by her parents, and her husband John A. Gerboc, who passed away on April 13, 2010; brothers, Earl, Paul, and Don Riggle; and sisters, Jean Riggle and Margaret Smith. 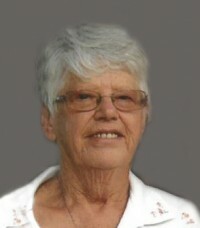 Arrangements are being handled by Bauer Funeral Home and Cremation Services, Inc.
To send a condolence to Betty's family visit www.bauerfuneral.com.